One of the biggest proponents in the country of Italian-style amaro with American expression and ingredients is Francesco “Ciccio” Amodeo, president and founder of Think Italian LLC and Don Ciccio & Figli. Born in the small Italian town of Furore on the Amalfi Coast near Positano and Capri, Francesco grew up in a family of chefs, winemakers and liqueur producers. Since 1883, his great-grandfather, Vincenzo “N’Gioletto” Amodeo, produced liqueurs at home and ran a local spirits business that lasted 45 years, but was forced to close given the economy post-WWII. In the early 1950s, his grandfather Francesco “Don Ciccio” Amodeo continued the tradition, building a small distillery in the hills of Furore, remaining in business for just over 50 years. Now, Francesco has revived the family legacy—but with new vision—in the United States. From his tight-knit town of barely over 800 residents, Francesco gained knowledge of food and drink in the hospitality industry in varying forms, from his first winemaking job at age 14 with winemaker Marisa Cuomo, to working in his hometown’s only resort (Furore Inn Resort), to running the bar at his uncle’s restaurant in Positano. As he progressed in food and drink, he gained accolades and certifications along the way. In Salerno, Italy, he was awarded Certificate of Master Barman for the A.I.B.E.S. in 2003. In 2004, he earned his Master of Food and Beverage Management, then his Certificate of Master Sommelier for the A.I.S. of Naples. When he took a trip to Washington D.C. in 2005, he was hooked, enjoying his time in the States so much he moved to D.C. in February 2006. 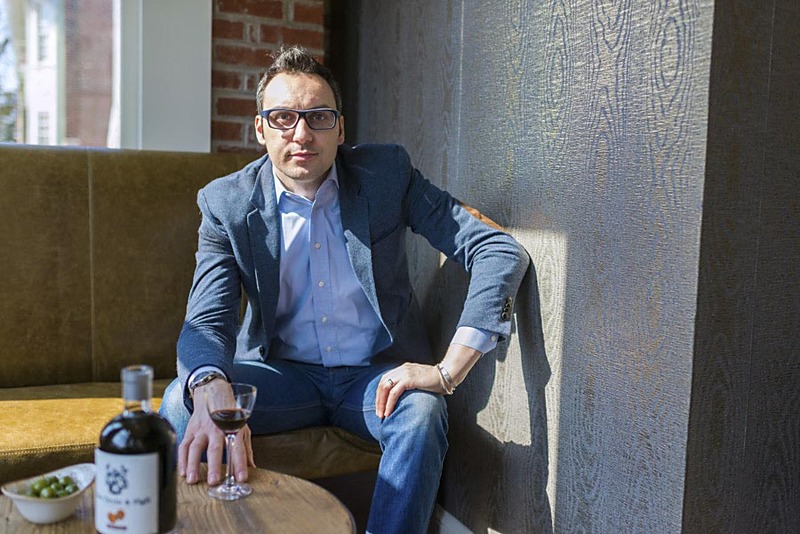 In D.C., Francesco continued growing in the industry, working in bars and restaurants like Butterfield 9, Hook, Café Milano and Bibiana Osteria Enoteca. But in his free time, he felt the pull back to his roots as he researched and experimented making handcrafted liqueurs. At the young age of 29, he decided to revive the family tradition with an American focus, opening Don Ciccio & Figli (http://donciccioefigli.com) in D.C., releasing the first spirit in October 2012. He uses family recipes but updated for structure, balance and cocktail usability in mind—and sourcing local ingredients as much as possible. They buy their corn-based spirit but it is their own recipe, distilled to their specifications. They also have a still on-site at their distillery/company for testing product batches, while they focus on maturation with mostly local, organic ingredients, many of them grown on a friend’s farm, doing all maturing, blending and bottling in D.C. After garnering local success and critical acclaim, Don Ciccio & Figli has continued to grow nationally, recently signing a national distribution deal that allows them to go from being available in 22 states to over 30 states. Here, Francesco talks about his family history in distilling, about making natural amari and liqueurs with local herbs and botanicals—and what advice he’d give to distillers seeking placement in bars. What led you to spirits? I came to the USA when I was 23. I was working in the winemaking business when I was 13 and 14 at a friend’s winery, then at different restaurants in Italy between Positano and my hometown of Furore. I left Italy in 2006 to come to the USA and opened several restaurants in the district. In 2011, I decided to venture out to bring the family traditions back to life. I wanted to create something unique, a bit different than the usual gin, vodka and whiskey, which sometimes can be the main focus in our industry. So I went back to my family and talked about making spirits in the same style they had made them. After few attempts, my grandfather was kind enough to share his distilling recipes and I was able to recreate and adjust them in a way that today’s consumers would also appreciate. We buy our base spirit, which is made to our specifications, then we maturate ourselves. We have a still on-site for testing. Our base is corn that is double-fermented, triple-distilled and six months aged. Many of our herbs and botanicals come from my friend’s farm… where we grow a good portion of our ingredients. Others we source from local farmers markets and other countries. Some of the recipes my father had. We decided to use our style of distilling, their recipes but something with a little more balance and structure. For me, structure is key, as it is with wine… The structure is a proper balance of all the flavors. So in amari and aperitivos, you can have structure with how you blend the layers and botanicals… You want to balance the bitter, the sour, the sweet notes, from start to finish. And you have to be cautious, as every palate is different. That’s why every time we do a batch, we create many versions and have people taste them many, many times in order to achieve a product that is enjoyed by everybody and not just us. Pleasing everyone is hard, but we try the best we can. How do you produce amari and liqueurs with both old and new world ethos? For us the main difference between aperitivos and amari (and we have over 13 different products): with the aperitivos we use botanicals and additional citrus component, with the amaro we use only botanicals. We don’t add any artificial coloring and we only use natural products so consumers don’t have to feel like they are drinking a lot of chemicals. Our Amaro Tonico Ferro-Kina has citrus, because it was created as an aperitivo tonico to give you energy… It’s a bridge between our aperitivo and our amaro. The sugar content gives you the digestive power. We don’t make it too sweet because you can always add something else to make it sweeter [in cocktails]. Our custom is not to use too many ingredients. If you keep things simple, then you don’t need to muddy it or destroy it from going into a cocktail. That way our products can shine through in a drink without overpowering the other ingredients. How does living in D.C. determine your business style and process? D.C. didn’t understand what we were trying to do even when we first opened. The issue is regulatory entities that make it hard to run a business. But this year it has come a long way, allowing us to do tasting rooms, farmers markets, things that can allow us to make a little more money and hire more people. How have you grown your brand? We do things the old-school way. We try to connect with people. The amaro category was as yet undiscovered [not long ago]. It was there but was not as much of a focus. But now there are more people focusing on that category so… people are more educated [about amari]. Before, we’d get asked, ‘What’s amaro?’ Now we explain how we do it. [It’s about] having people become your brand ambassadors by believing in us and trusting how we do things. When people come for a tour, we explain every detail without hiding anything. We are trying to build trust so our consumer can trust the way we are making products. People don’t trust processed foods because they don’t know what’s in it… the same goes with our products. We go for full-on transparency. Many distilleries don’t show you anything. If you ask a big company how they make [a spirit], they often don’t know, as the company doesn’t even tell the staff. Now we increase production… we now use our national distributor and try to hire more people to work as brand ambassadors and to go out and see accounts… It’s a natural growth, not a forced growth. It’s not about forcing people to like our product. We are making it the way we think it should be made. We are not trying to tell anyone how to make their product. We are just trying to make ours the best way possible. If I was going to wait for people to drink our products the way my grandfather drank it, we would already be closed… We create products with a little less sugar and with structure (back to that point), that can be used in cocktails. We have the bars be our biggest ambassadors… Bars allow you to spread your reach. 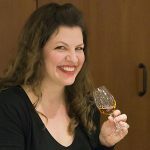 The issues that we have currently in the market are that craft distillers have another 15 years before they catch up with the bigger guys in the market… the bigger names we know because they are cemented in our brains. They have a lot more money to spend on marketing… [But] the audience is growing, becoming more knowledgeable. They want to know what is in cocktails, what is in their drink… It’s a good thing. Knowledge is power. You gotta be honest with your consumers… if someone wasn’t honest about how things were made and ended up cutting corners, they make people upset and no one believes you anymore. Honesty and transparency go a long way. 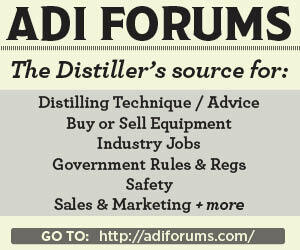 What is exciting you most about craft spirits right now? Overall, it excites me that a lot of people are trying to do something good and different… My goal is that you could go to a bar and find a shelf of American-made amari… You go to bars and see the same few amaro. It would be exciting to go to a bar and have drinks made with all American-produced amari. The more people making amari, the better. I don’t feel I am going to be competing with anyone because our styles are going to be different. My grandmother used to say I give you tomatoes, onions and olive oil and you give another person the same and the tomato sauces are going to come out different… We have another amaro producer in the market? Fantastic. We are going to make the category stronger. Then the consumer decides what they like most.